In many ways we're in the golden age of audio gear. On the whole, inexpensive audio gear (under $500) sounds better than ever and is a much better value than even a decade ago and way better than 20 years ago. The same can be said for mics, as there is a large variety of cheap mics that provide much higher performance for the price than we could have imagined back in the 70s and 80s. That said, there are some pitfalls to be aware of before you buy. Here's an excerpt from The Recording Engineer's Handbook 3rd edition that covers the potential downside of inexpensive mics. "One of the more interesting recent developments in microphones is the availability of some extremely inexpensive condenser and ribbon microphones in the sub-$500 category (in some cases even less than $100). While you’ll never confuse these with a vintage U 47 or C 12, they do sometimes provide an astonishing level of performance at a price point that we could only dream about a few short years ago. That said, there are some things to be aware of before you make that purchase. Mics in this category have the same thing in common; they’re either entirely made or all their parts are made in China, and to some degree, mostly in the same factory. Some are made to the specifications of the importer (and therefore cost more) and some are just plain off-the-shelf. Regardless of how they’re made and to what spec, the biggest issue from that point is how much quality control (or QC, also sometimes known as quality assurance) is involved before the product finds its way into your studio. Some mics are completely manufactured at the factory and receive a quick QC just to make sure they’re working and these are the least expensive mics available. Others receive another level of QC to get them within a rather wide quality tolerance level, so they cost a little more. Others are QC’d locally by the distributor with only the best ones offered for sale, and these cost still more. Finally, some mics have only their parts manufactured in China, with final assembly and QC done locally, and of course, these have the highest price in the category. 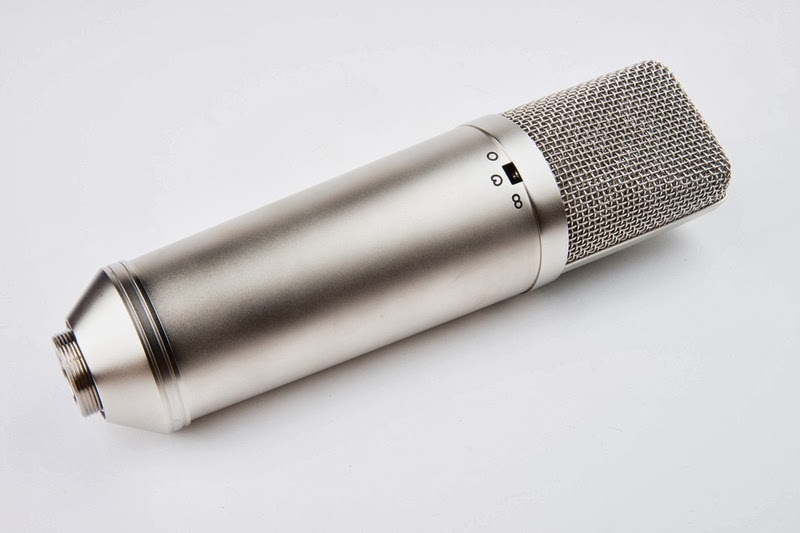 One of the byproducts of the rather loose tolerances due to the different levels of QC is the fact that the sound can vary greatly between mics of the same model and manufacturer. The more QC (and high the resulting price), the less difference you’ll find, but you still might have to go through a number of them to find one with some magic. This doesn’t happen with the more traditional name brands that cost a lot more, but what you’re buying (besides better components in most cases) is a high assurance that your mic is going to sound as good as any other of the same model from that manufacturer. In other words, the differences between mics are generally a lot smaller as the price rises. There are two points that contribute to a mic sounding good or bad, and that’s the capsule and the electronics (this can be said of all mics, really). The tighter the tolerances and better QC on the capsule, the better the mic will sound and the closer each mic will sound to another of the same model. The electronics is another point entirely in that a bad design can cause distortion at high SPL levels and limit the frequency response, or simply change the sound enough to make it less than desirable. The component tolerances these days are a lot closer than in the past, so that doesn’t enter into the equation as much when it comes to having a bearing on the sound. In some cases, you can have what could be a inexpensive great mic that’s limited by poorly designed electronics. You can find articles all over the Web on how to modify many of these mics, some that make more of a difference to the final sound than others. If you choose to try doing a mod on a mic yourself, be sure that your soldering chops are really good since there’s generally so little space that a small mistake can render your mic useless." You can read additional excerpts from The Recording Engineer's Handbook or my other books on the excerpts section of bobbyowsinski.com.